Everyone seems to have lined up against humanitarian intervention this week. I’m not sure if the proponents of intervention have changed their mind, or if they are keeping quiet, or if they never existed in the first place. Either way, I want to be clear — if it isn’t obvious already from my prior scholarship — that I support a limited right of humanitarian intervention in certain contexts. So far, the few that have supported humanitarian intervention recently include Harold Koh, as well as Charlie Dunlap. (In the past, others have argued for it as well.) By my account, the Syrian situation can and should qualify as a lawful humanitarian intervention. However, as I indicated in a series of tweets today, I think it is a mistake to focus humanitarian intervention arguments on so-called exceptions to the UN Charter regime on the use of force–exceptions flowing from customary international law. All of these arguments run into the same problem: how does custom amend the UN Charter? It makes the argument vulnerable to the objection that the customary exception is really a backdoor way of amending the Charter without going through the difficult process of amending the Charter. A far better and more fruitful exercise is to examine article 51 of the UN Charter more closely. Article 51 preserves the inherent right of individual or collective self-defense, or what the French-language version of the Charter refers to as the droit naturel de legitimate defense. The right to legitimate defense (which covers both self- and other-defense) is a natural law right. It isn’t created by the UN Charter or by positive law at all. It is inherent because it flows from natural law, and article 51 simply refers to it. Modern lawyers are not accustomed to answering uncomfortable questions about where natural or inherent rights come from. They can’t come from the positive law, otherwise they wouldn’t be inherent. The whole point of being inherent is that even if the positive law denied them, they would still exist. That’s what inherent means. In other words, there’s an area of the law that endures after the positive law runs out. You might find this truth to be inconvenient or annoying or quaint — but it is right there in article 51. So even lawyers committed to positivism and the text of article 51 should admit that some rights under international law are so fundamental that they flow from beyond the positive law. The positive law could try to take them away but the right would still endure. Another piece of the puzzle is that international lawyers are too focused on state sovereignty to the exclusion of any other legal categories. Peoples have rights too under international law, and their most primary right is the right to self-preservation, a right that is protected not only by the concept of self-determination but also the right to be free from genocide and crimes against humanity. Nothing in the positive law can take away the right of the Syrian people, under natural law, to resist their own annihilation. I’m not sure that anything in Article 51 automatically prioritizes the Syrian government’s claim to state sovereignty over the right of the Syrian people to self-preservation and the right of other states to exercise legitimate defense on their behalf. I should also note that there are other avenues to explore in the Syrian case. Assad only controls half of the country, so I don’t know why even under a strict “sovereignty” approach he should have a monopoly on deciding who gets to intervene in Syria. He only controls half of his country. (Once you take into account ISIS controlled territory, it might be even less than half). So I don’t know why international law should privilege his speaking for the Syrian people when his de facto control over its territory is so degraded and he is gassing his own citizens. It seems equally plausible to say that the Syrian rebels, given their control over territory and their exercising of inherently governmental functions, should be able to speak for themselves. Of course, it would help the U.S. argument if it recognized the Syrian rebels as the legitimate government of Syria and then pursued a consent-based argument. This approach would no doubt anger Assad and the Russians, but launching Tomahawk missiles has already angered Russia, so that doesn’t appear to be a political or diplomatic constraint at this point in time. I wish the State Department would pursue this initiative. I imagine that other states would welcome the approach and would follow our lead in recognizing the Syrian rebels as a legitimate government. (A final approach would be to argue for partition and suggest that the Syrian rebels have created a de facto state, which could be recognized under international law, effectively transforming the Syrian conflict into an IAC. I understand that this option is disfavored for several reasons, in part because it concedes that Assad would remain in control of the legacy Syrian state). Let me make a final point. All things considered, we should interpret the law to make sense. Interpreting article 51 to require everyone to sit on their hands while a dictator commits genocide or wipes out every last member of a protected ethnic group just doesn’t make sense. And that’s the reading of article 51 that opponents of humanitarian intervention are advancing. International law disfavors existential annihilation. Lawyers shouldn’t fetishize state sovereignty and elevate it to the exclusion of all other principles. If the Syrian people have the right to resist their own destruction, we have the right to assist them. I get the allure of humanitarian intervention, but ultimately it is a very dangerous doctrine. The chemical attack by Syria is not comparable to the attempted genocide of the Yazidi (which sparked Obama’s intervention). Likewise, the results of the interventions are dissimilar. There’s no direct benefit for the victims, just geopolitical calculations where one hopes the costs of another attack are high enough for Assad not to do it. So, if we’re not at the high-water mark of avoiding genocide, what is the limit? With such an ambiguous standard, almost any intervention can be justified. We’ve already seen what the other side of the coin is. Putin’s stated reason for entering Crimea was to “protect the Russian-speaking populace”. Doesn’t your argument justify Russia entering Crimea (although I accept that it doesn’t justify the seizing of it)? And if Russia’s invasion is justified, isn’t this a doctrine that jeopardizes international peace rather than bolsters it? I agree with Gabriel. And although there is a certain allure to the claim that “[i]nterpreting article 51 to require everyone to sit on their hands while a dictator commits genocide or wipes out every last member of a protected ethnic group just doesn’t make sense,” the answer is not to recognise even a limited right of humanitarian intervention. 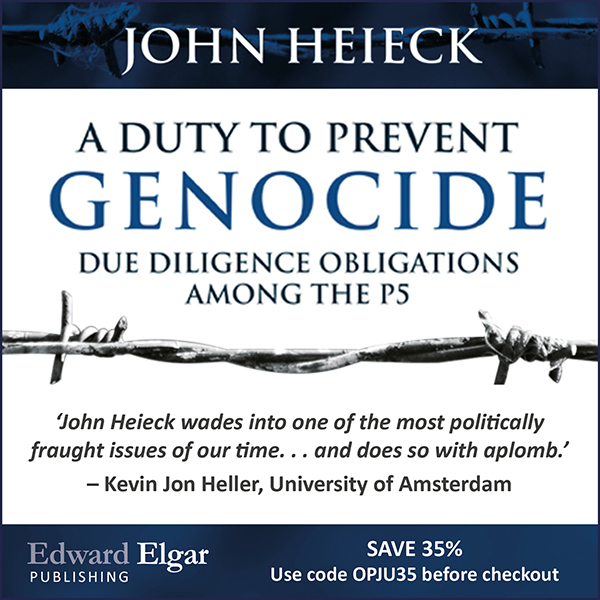 The answer is to reform the UN to prevent the P-5 from allowing genocides to take place. The sovereignty of states in the Global South should not be discarded because powerful Global North states care more about their geopolitical interests than protecting oppressed groups. And it’s not a coincidence that the Global North states that prevent the Security Council from fulfilling its purpose are the same states that routinely invoke humanitarian concerns whenever they invade a state in the Global South. I’m open to the idea that the “the inherent right of individual or collective self-defence” is a natural right incorporated into positive law. However, art 51 recognizes that right of self-defence only “if an armed attack occurs against a Member of the United Nations.” We have to account for those words, too. Those words indicate that States retain their inherent right to defend themselves and other States against armed attack. So I don’t see how art 51, taken as a whole, can support humanitarian intervention, which typically does not involve defending a State from armed attack. Do let me know what I’m missing. P.S. I suppose we could recognize the rebels as the legitimate government, and then argue that Assad’s forces have launched an armed attack against them . . . . I agree with Jens. The main problem I have with the legal reasoning against the attack is that it is completely detached from the entire discussion that is being held with regard to the attack in all other fora, except the legal ones. There seems to be widespread agreement that this was the right thing to do. Even those criticizing the attack are focusing on potential strategic outcomes. A legal debate that ignores reality becomes irrelevant. This is dangerous – because this might make other more substantial legal arguments (for example om JIB) also seem irrelevant to the decision makers. Think of the legal adviser in the room when the decision to attack is made. If he/she says that such a strike is illegal and is overruled, and then the strike meets with global acceptance and praise – why should they listen to him/her next time when the legality of a target or weapons is discussed? JAB has to be interpreted in a logical way that does not make actions – that seem both moral and sensible to even the most liberal thinkers – to be considered illegal. Just so I’m clear, you’re imagining a State that wants to engage in unilateral humanitarian intervention to save civilians which, if told that such intervention violates the JAB, will be less inclined to follow JIB rules that protect the very same civilians? Seems like an odd State. For what it’s worth, I’m all in favor of interpreting the Charter in a morally and practically sensible way. But we can’t just ignore what the Charter actually says and call it legal interpretation. Inherent rights cannot be surrendered, even by positive law. That’s what makes them inherent and inalienable. Positive law can purport to surrender or abrogate the natural right, but when the positive law does so, it runs afoul of natural law. Can States voluntarily make binding agreements that curtail their natural rights of legitimate defense for the sake of greater collective security? So you’re imagining a State that is committed to humanitarian intervention but not to humane treatment or to minimizing damage to civilian infrastructure (of the very civilians that it is trying to protect)? As I understand it, HI is about enforcing IHL, human rights, etc. So it’s hard for me to imagine a State so committed to those norms that it is willing to use force to uphold them, but not committed enough to obey them itself. Well, it’s an interesting idea. Food for thought. We clearly move in different circles. I have yet to read anyone who believes the attack was “the right thing to do.” The airfield that Trump struck is already operating again, and the administration has made clear that this is a one-off — Trump has no intention of doing what it takes to genuinely protect Syrian civilians. (Which cannot be done from the air.) So the attack makes no strategic or normative sense whatsoever. I disagree with Jens that the “inherent right of self-defence” is a natural-law concept. As the ICJ noted in Nicaragua, that expression refers to the customary right of self-defence that existed prior to the adoption of the Charter. So the right of self-defence is the product not of natural law but of positive law. One response to this argument is to insist that even if the content of the inherent right of self-defence might is determined by the positive law (custom), the existence of the right of self-defence itself is a product of natural law. I don’t agree, but even if I did, I don’t see how a natural-law basis for the right of self-defence could strengthen the argument for unilateral humanitarian intervention. At the level of content, nothing in pre-Charter custom supports such intervention, which — as Adil has pointed out — has nothing to do with self-defence. Yes indeed, the ICJ interpretation in Nicaragua is symptomatic of the general problem I’m articulating. 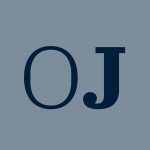 Customary law is changeable through state practice and OJ, but an inherent right is not changeable –that’s the whole point of it being inherent. Just on the level of a dictionary, inherent (or droit naturel) and custom don’t sound like each other at all. Also, before the UN Charter era, international law was once dominated by natural law. I think it is telling that the ICJ, when faced with the language “droit naturel” says that’s custom, instead of saying that it is natural law. Droit naturel literally means natural law. Inherent rights are inherent rights, not custom. Don’t worry Kevin, I don’t have many (any?) adherents. Except maybe Hugo Grotius! He’s with me. Then we’re brothers-in-arms in one way — Grotius and pretty much no one else is with me on international criminalization primarily being a product of domestic criminalization! Firstly Mr. Jens David Ohlin’s argument is compelling; but who should determine this “limited right of humanitarian intervention in certain contexts.” Mr. Gabriel does have a point with regard to Russia intervening in Crimea. In the present scenario, inaction by the international community and the US in particular would have emboldened the Syrians to use chemical weapons against their won populace. A strike of this nature to deter a repetition of the use of CW may have the desired effect. Humanitarian interventions have taken place in the past without UN sanction and considering the gravity of situation the US may be justified in having effected the missile strike.